first appearing in 1978, Preston Payne was a brilliant STAR Labs biochemist, but shunned his entire life for a severe case of hyperpiutarism which left him deformed. 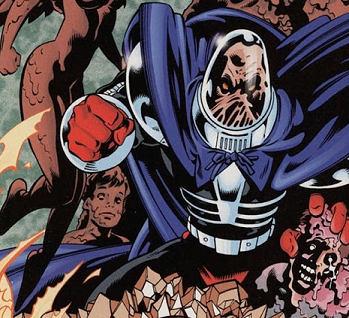 seeking to cure his condition, Payne obtained a blood sample of the second, superpowered Clayface, hoping to create a formula from it to duplicate just enough of the villain's shapeshifting ability to remold himself into someone beautiful. unfortunately, not only was the formula's seeming success only temporary, it came with devastating side effects. first, Preston's body began to break down into a constantly shifting amorphous mass, such that only a hastily jury-rigged STAR Labs exo-suit would allow him to keep a humanoid form. second, was that he'd suffer bouts of extreme pain from his body's constant transformations, pain which he could only temporarily get rid of after he discovered the third side effect, that his mere touch was corrosive, turning anyone he grabbed into a gooey, clay-like mess. Suffice it to say, Preston was driven completely insane from his changes. so insane, in fact, that after his first encounter with Batman, preston, having assumed the Clayface mantle, created an elaborate fantasy where he saw a female-shaped mannequin as Helena, his beloved wife. Last edited by Kreuzritter; 01-30-2019 at 06:11 PM. 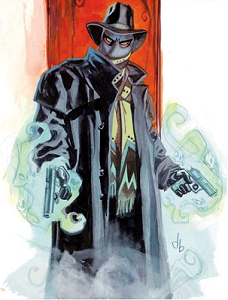 I suspect that the original intention for Mr. Mystery was for him to be a less monstrous version of Dan Bereton's Gunwitch (see Nocturnals - A Midnight Companion, if you can find one of the very rare copies). Batman: Batman keeps getting in Mad Stan's way, so he has no choice but to BLOW HIM UP! Information overload: Mad Stan believes that technology inhibits and pacifies the people. the solution: BLOW IT UP! motivation - BLOW IT UP! : Mad Stan a very angry conspiracy theorist whose answer to everything is to BLOW IT UP! The Man: Mad Stan feels confounded and oppressed by the bureaucratic laws and society of Gotham City. the answer is obvious: BLOW IT UP! titular hero of the Zeta Project, a short-lived spinoff of Batman Beyond, Zeta was a prototype android assassin, built by the NSA to infiltrate hostile organizations through holographic disguises and terminate their leaders. 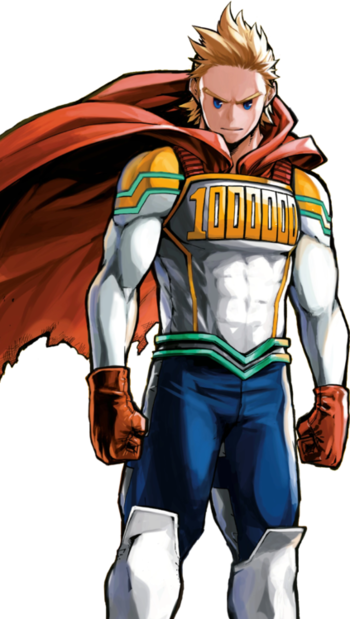 however, during one such mission, Zeta was forced to assume his cover identity's life long-term, exposing him not only to the positive emotions of the man's loving family, but that his target was an innocent dupe, causing Zeta to question his own programming and abort the mission, refusing to kill anyone ever again. to the NSA, they only saw that one of their deadlier dirty secrets had gone rogue, with reasonable suspicion it's programming had been compromised. more recently, Riri's armor was destroyed and herself nearly killed by the mad Titan Thanos, prompting her to create a new armor for herself from scratch, and re-evaluate her methods and place in the greater marvel universe. 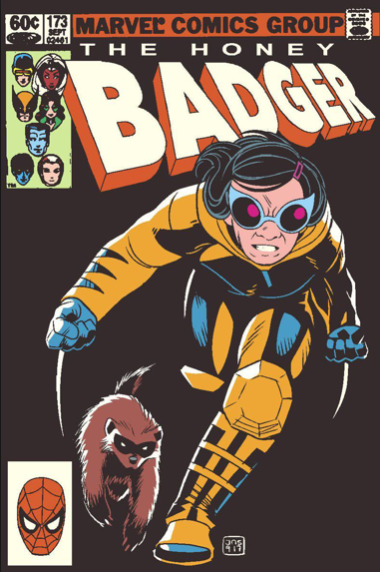 First appearing in 2016's All-New Wolverine, Gabby was the youngest of four clones created by Alchemax from the DNA of Laura Kinney, better known as X-23, and then assuming the mantle of Wolverine. escaping from the facility, Gabby and her sisters sought Laura out in hopes of being truly free of not only Alchemax, but a degenerative condition stemming from being clones. sadly, two of Gabby's clone sisters perished before either of these could happen, while her surviving big sister, Bellona, entered the employ of Kimura one of Laura's greatest enemies, who had arranged the entire incident, in hopes Kimura would leave Gabby alone in return. quickly taking to Laura as her new big sister/mother figure, Gabby would accompany her on many of her adventures, which resulted in her adopting an actual Wolverine, Jonathan, who had escaped from an illegal animal testing facility, becoming friends with Deadpool, and gaining the codename Hone Badger from her elder 'brother' Daken, because "you're sweet and you have claws"
a perfectly ordinary Japanese girl, Makimura Miki was introduced to the legend of King Solomon as a child, spurring a lifelong interest in the occult and her playing at being a witch well into her teenaged years, and earning her a reputation as the school weirdo. Even Miki thought it harmless fun and make believe (despite having a knack for solving problems sniffing out lost objects or mending friendships). But, when asked to find a classmate who was part of a rush of missing persons, the "ritual" became all too real, and real demons appeared, attacking the group. 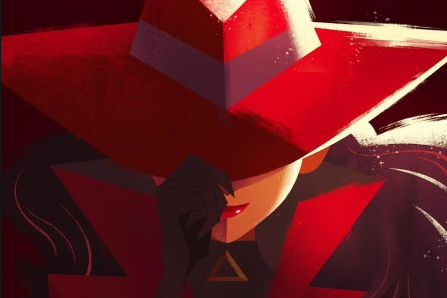 When it looked like the monsters would kill and consume Akira, Miki's boyfriend in all but name, she cast the first real spell in her life, putting the totality of her will into the single thought of protecting Akira will all the power she could find.